You must make reservations at least 5 minutes in advance of the time at Forcella BYOB. Convenient street parking as well as 2 extremely affordable public lots on West Ave. All of which are within walking distance of the restaurant. Forcella BYOB of offers a variety of off-premise catering options. From weddings, bar mitzvahs, baby showers, large/small get-togethers, let Forcella BYOB make your next event one to remember. We provide full service catering from food to pastry. Uniquely designed cuisine will dazzle your guests and take all tedious food preparation and hassle of your to-do list. We understand your event is priority and we strive to create a seamless, diverse and professional service that will take all the stress and hassle from your culinary plan. (5 courses/$65, available nightly), we also offer an a la carte menu (available nightly). Reservations are highly recommended for weekends. We are also available for private parties/events & off-premise catering. Also be sure to visit our Facebook page for daily updates, menu changes & special events. All Saturday night reservations will need to be held with a credit card. We will confirm by phone Thursday. All Saturday night reservations must be confirmed by 3PM on Friday. Any cancelation after 2PM on Saturday will be subject to fees. Food was delicious and service was extraordinary. Definitely will come back. The owner was solicitous but also gave us our space. The food was amazing! We sampled several different things and shared and we were all delighted with our choices. the food was a bit bland overall. My wife's pasta was over-salted. My Wife and I enjoyed the five course Prefix Menu - every course was well prepared and nicely presented. 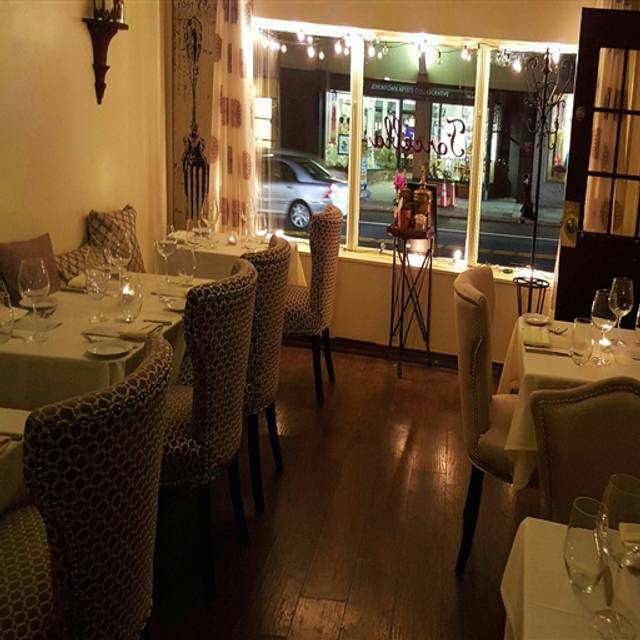 It's a cosy little restaurant in beautiful, downtown Jenkintown. Be prepared - Cash Only ! Delicious food, diverse and delicious changing menu and wonderful service! I highly recommend this intimate, tasty, byob! My husband and I left full and happy! Btw, I’m vegetarian and there were lots of great options for me. Big plus!! What a wonderful little gem! The food was fabulous. Esther and Bruce the owners were so welcoming and kind. I highly recommend you try this little treasure. It was an amazing experience for my husband & I. We do not get out much, but I am glad we had dinner at Forcella! The filet mignon was outstanding and cooked to a perfect medium rare. The service was also amazing - very attentive to our every need. The poached butter olive oil that was served with the fresh warm bread was to die for. Superb, as always. Wonderful and delicious food and excellent, attentive service. 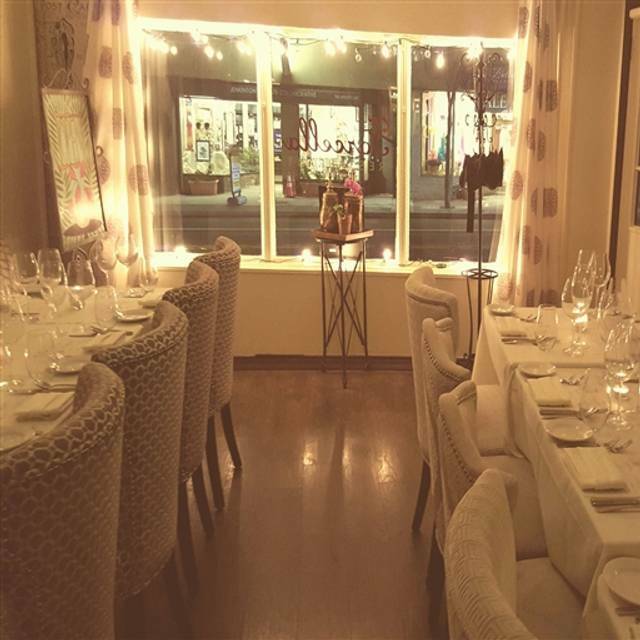 Forcella is one of our favorite places to go for special occasions such as our anniversary or Valentine's Day. The food is created with great love and care; the ambiance is intimate; and the customer service is spot on. Chef Esther and her husband Bruce who hosts are artful in their craft and deeply concerned about the dining experience for their guests. What a fabulous dinner The first course was a spicy andouille sausage tomato soup packed with flavor with a spicy punch. Each course brought yet another layer of interest and had me wondering what intersting culinary treat was to come. A favorite contender for both my husband and myself was the black troufle pasta. This was so light and rich without that heavy overbearing feeling. Left me wanting seconds. My first experience with foie gras was a delight. 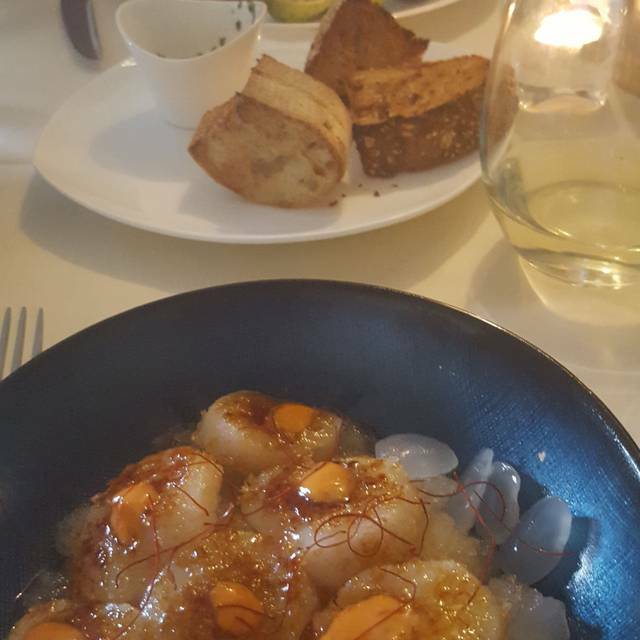 The honey comb complimented the citrus, pear and basalmic glaze and creamy foie gras. The cara cara orange poached lobster was such a delightful departure from drawn but. However, the smoky flavor and secret rub infussed filet mingin was spectacular. Oh did I mention the Rocher Hazelnut dessert. Creamy, light and sweet. Once again we were warmly welcomed and served a wonderful meal. We always look forward to our visits to Forcella! We will be back soon!! My wife and I had an incredible experience. The owner Bruce and his wife Esther, who is also the chef, have created a warm and inviting atmosphere to enjoy their wonderful menu. Their food is simply delicious and with beautiful presentation. We're looking forward to visiting again and recommend to all our friends. We feel like family when we come here. The food is excellent. The perfect place for celebrating a special occasion. Took my wife for an early dinner on a Saturday night and we both loved it. Highlights for me were both pasta dishes we ordered, the carbonara and seafood risotto, as well as the filet mignon and salmon. Both desserts, the berry cake and chocolate mousse, were amazing too. Would highly recommend! Favorite place outside of Philadelphia for amazing food, service, and a special place to take my wife. Forcella is a must, from the amazing table service to the delicious food. BYOB is another nice feature of eating here. Besides serving fabulous food the owners go out of their way to make you feel like special guests in their home. Thank you to Esther and Bruce for a memorable evening!! We selected the tasting menu and every course was pure perfection. On top of the delicious food, the service was impeccable. Highly recommended! This was our second reservation at Forcella, and as always, the service here is unmatched. I travel for work and spend plenty of time dining at 4 and 5 star restaurants - the service at Forcella meets or exceeds those experiences. The co-owners are the head chef and only waiter, and in a restaurant that only seats ~18 people, you're night becomes the star focus of their attention. Be prepared to hold longer conversations - they encourage you to enjoy the experience as a smaller staff means slightly longer prep times. My only comment this time was that the first 3 courses were a mix of 3-4 star in taste/quality (a slight drop from my first experience). However, the entree course was outstanding as always. Whichever option you choose, the dish melts in your mouth and truly makes you slow down to enjoy it. I can't recommend Forcella enough to everyone. Do yourself a favor and head over here for a date night. Wonderful as always. Best restaurant by far in the area! I would like to say WOW for 50 characters. Blown away by the 7 course New Year's Eve dinner. The atmosphere, the service, the imagination, the care...WOW. Just book a reservation. Amazing]! Food & service top notch! I can't wait to go back! Only reason no 5 stars on the food, was my eggplant was too salty. Spoke with the chef, she will fix next time. My wife's Filet was done to perfection !!!! Will definitely return ! Wonderful family dinner! The food was delicious, some of our party selected the tasting menu, others ordered ala carte which was no problem. Everything we had from amuse bouche to dessert was great! I look forward to returning! My husband and I and two friends dined there on Saturday, Dec. 22. From start to finish the meal was delicious and the service was excellent. I had salmon which was prepared perfectly and my husband and friends had mouth-watering filet mignons that they said were the best ever! It's a neighborhood gem in the heart of Jenkintown. I would highly recommend going there. Brilliant evening with good friends! Host was particularly helpful choosing dinner selections and it was appreciated. It felt like we were dining in someone’s home it was that comfortable. Whatever you do-order the filet. I want to watch the chef prepare it so I can learn tbh. Outstanding. Best date night place ever! Excellent atmosphere and wonderful food! Best meal I’ve had all year, service was great and food was OUTSTANDING! I definitely recommend to anyone for a nice night out. Forcella is one of our favorite BYOBs and we love bringing friends here. The setting is cozy and you feel as if you are dining in a friend’s house- if your friend is a wonderful chef. The menu is available a la Carrie or as a 4 course + dessert prix fixe (a great value). We love everything on the menu - the last time standouts included spicy mushroom dumplings, an Asian Pear salad, an excellent filet mignonette and an awesome homemade pumpkin cheesecake. The couple who own and run the restaurant are delightful. Can’t wait to return! very charming byob. 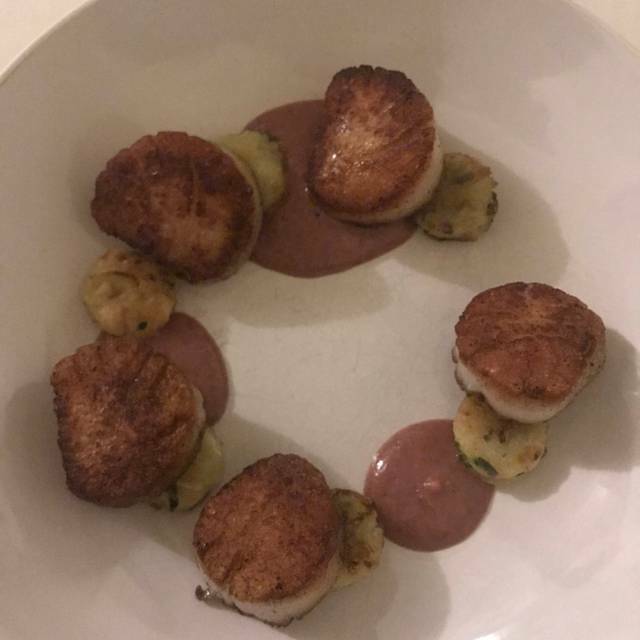 the food is imaginitive and unique but lacks professional execution and balance of flavors. the pasta was fresh made and al dente but the sauces were overly salty and one note. the entrees were small and tasty but not dynamic and not what one would expect for the price. the owner/waiter is very attentive and nice, and i hear his wife is the chef. i like supporting local business but the prices overall should be adjusted before i would consider returning to try again. Good neighborhood restaurant. Food was good and Service was excellent. Always wonderfully prepared & tasteful dishes made with fresh ingredients. Celebrated our 30th wedding anniversary there 10/27/2018. We forgot our wine & owner (husband) provided a great bottle for free & also later played our special wedding song later (after asking us what it was in conversation). He & his wife (chef) are a great team. Small open dining room (street front) but comfortable. He provides great service & his wife is an excellent chef. We did the 5 course tasting menu & everything was awesome, especially the filet mignon I had (best ever) and the scallops. Great value ($65 per person) based on the quality of the food + the 5 courses (includes dessert) + being BYOB. We found close, free parking. I would highly recommend this place & special thanks to the owners for a great night. Everything was great! We got the chefs menu & every course was delicious! We shared the filet & Risotto with asparagus & both were seasoned to perfection! The service was excellent as well. I look forward to returning & trying the fall menu. Dining at Forcella was incredible. We went for a birthday celebration and it was the perfect spot. Bruce and Esther make such a great team and their inviting, bubbly personalities make the place that much more remarkable. The cozy seating and dim lights make for a romantic evening whether you are celebrating something special or just want a night to yourselves. Being a BYOB spot was also a huge bonus. Will definitely return! 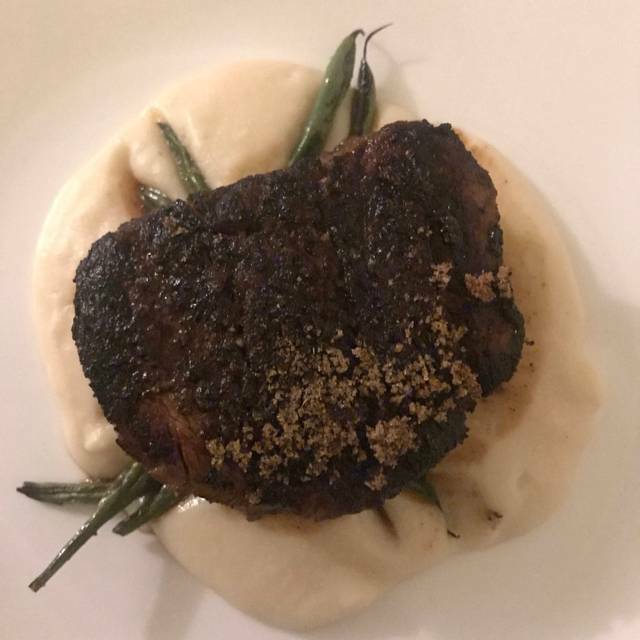 An absolute find in Jenkintown, this restaurant exceeded our expectations. Food was prepared and presented beautifully. Bruce, the owner, and his wife, the chef, created a cozy atmosphere where you can enjoy excellent food. We felt as if we were invited into their home for a relaxing meal. Highly recommend. Forcella never disappoints! Bruce and ester always go out of their way to make each and every dining experience memorable. The food is excellent and the service attentive. We will surely be returning for years to come. Love you forcella! We discovered Forcella last Spring and have dined there several times. The service is outstanding, and the food superb. Bruce (runs the front) and Ester (the chef) have gotten this right! Intimate and cozy dining area with creative and delicious food with beautiful presentation. Seasonal menu that is relatively limited, but superb. Prix fix menu is a bargain. Upscale informal. Perfect. BYOB. Great first course! The rest was good but couldn’t compare to the first course. Excellent service and ambience.